and also the creator of the tremendously entertaining television series Fish Hooks and Almost Naked Animals. I will accept entries until May 27, 2013 and I will draw the winner’s name and announce it on May 29. Required. Fill out the entry form below with your name, the school you would like to give the visit to, and your email address (so I can reach you!). (1) leave me a comment here with your thoughts on the cover. (2) follow me on Twitter – mention that in a comment below. (3) tweet this post to your own twitter followers and tag me @sudiptabq in the tweet. (4) like my author page on Facebook – mention that in a comment below. (5) follow this blog (right sidebar) — mention that in a comment below. or (6) like fellow blogger Kami Kinard’s Facebook author page – mention that in a comment below. 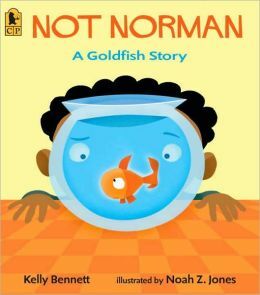 This entry was posted in Contests and Giveaways and tagged almost naked animals, children's author, contest, Duck Duck Moose, Fish Hooks, free, giveaway, Noah Z. Jones, picture book, prize, Skype visit, sudipta, Sudipta Bardhan-Quallen, virtual author visit, win. I am so pleased to announce that Sudipta Bardhan-Quallen will be joining the Creative Bookings team of award-winning talent. Sudipta is engaging, entertaining, and knowledgeable. Students will learn about writing and story structure and have fun. Sudipta is also prolific– she has four picture books and two middle grade novels slated for 2014! I’ve reblogged her recent cover reveal and giveaway info below. DO NOT MISS THIS CHANCE to win a FREE 45 minute Virtual Classroom Visit. Love, love, love your cover and can’t wait to see/read what’s inside! Tweeted this and tagged you, as well as followed you!! “Liked” your facebook page as well and Kami Kinard’s page as well! LOVE the cover! I can’t wait to read your book to my 5yo. I’m following you on Twitter, and I was already following your blog. 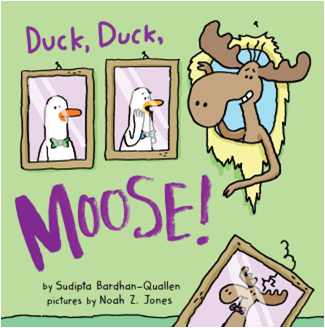 See the spectacular cover of Sudipta’s new Picture Book: DUCK,DUCK, MOOSE. Not sure if you wanted separate comments for each, but I’ve done all 7! Matthew Winner is always singing your praises and I would never argue with The Busy Librarian. 🙂 My elem students love your books. I too think the cover is adorable!! I entered as many of the 7 entries for the Giveaway as I could. Alas, I don’t have FB. I LOVE your books! !